Flip Out Mama: Mega Bloks Skylanders Giants Arkeyan Robot King Review! Mega Bloks Skylanders Giants Arkeyan Robot King Review! If you're like me, you probably think of blocks when you think of Mega Bloks. Regular old building blocks and building kits. However, that is just not the case anymore! We recently got a chance to check out an awesome building kit from Mega Bloks from one of Tater's favorite things ever: Skylanders Giants! 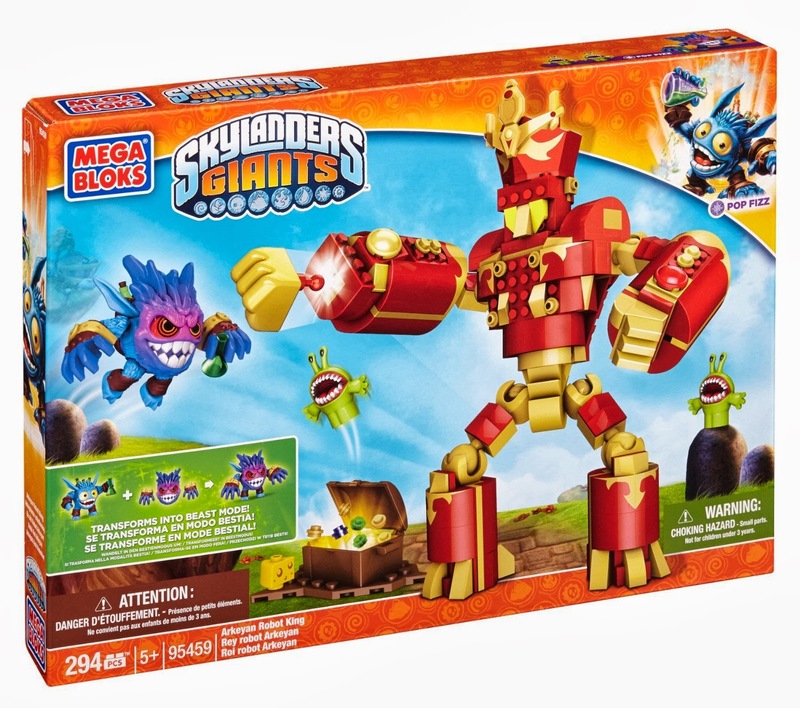 Build a blasting battle with the Arkeyan Robot King by Mega Bloks Skylanders Giants™! Pop Fizz will have to gulp down all the soda he can and transform into Beast Form when he confronts the Arkeyan Robot King with working Iron Fist launchers! With two green Chompies guarding the treasure chest, Pop Fizz will have his work cut out for him as he tries to collect the Robot King’s loot! When the battle is over, collect the treasure and prepare to build a brand new battle! Ideal for kids age 5 and up. 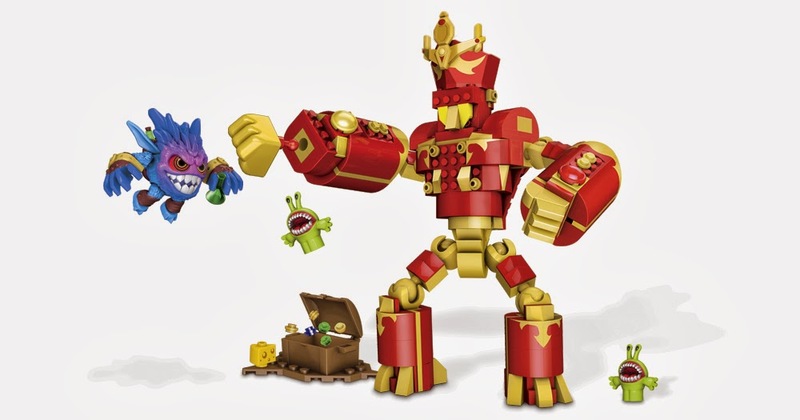 Combines with the rest of the Mega Bloks Skylanders Giants™ to build your battle! This really is a cool toy, even to the mom who doesn't really like video games that much! Tater has really loved this toy, he plays with it at least once every day! I mean, come on, what little boy does not love a treasure chest? That is by far his favorite part! The giant robot king guy is also a very popular part too, and little Mr. Pop Fizz is often used to scare his little brother, of course! This toy is good for ages five and up, it does have some little pieces, so watch out if you have little ones in the house as well. In our house this is a toy that has to be picked up after playing with it so little brother doesn't get into it, but that's no big deal. It comes with quite a few pieces, and is very affordable at right around $30.00. Thinking of adding it to your Christmas list? Here's a great link for you! 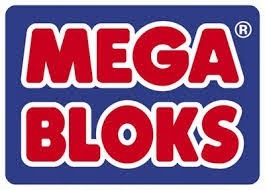 Don't forget to follow Mega Bloks on Twitter and Facebook too for the latest updates! I received a sample product in order to facilitate this review. All opinions are 100% my own and are never influenced by an outside source.